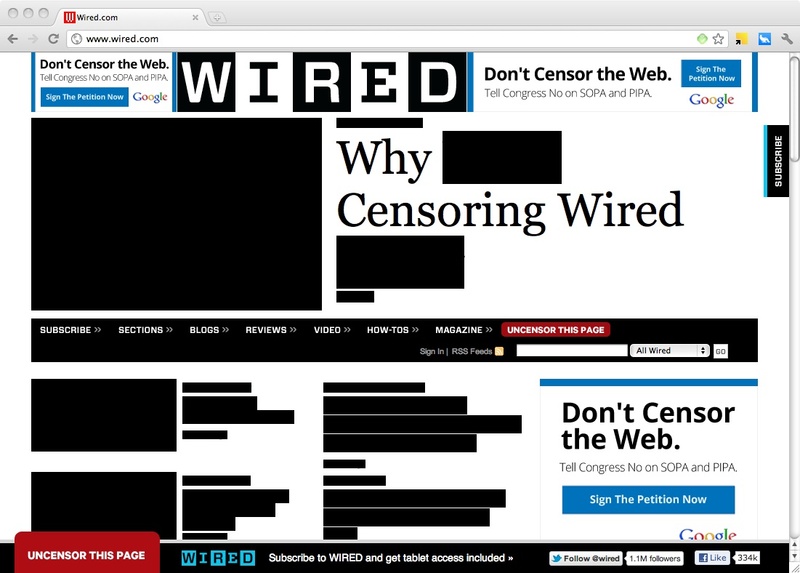 Wired censored all of the copy on its home page. Numerous websites, including heavyweights like Google, (s GOOG) Wikipedia and Craigslist, were blacked out on Wednesday to take part in the protest against SOPA and PIPA. The blackout protest not only was an impressive show of force but also seemed to succeed in making millions of people who don’t usually follow every single piece of tech news aware of the bills. In fact boingboing took a bold step ahead and censored their whole service for the day with the message 503: Service Intentionally Unavailable.